WASHINGTON — While Lockheed Martin’s space unit reported increased earnings in 2018, the company cautioned that it expects profits from that unit to decline in 2019 because of decreased contributions from United Launch Alliance. Lockheed Martin reported Jan. 29 an overall business segment operating profit of $5.88 billion on net sales of $53.7 billion for the full 2018 fiscal year, both increases over 2017. The company’s overall financial results “not only exceeded many of our expectations, but also set records across a number of our financial metrics,” said Marillyn Hewson, president and chief executive of Lockheed Martin, in an earnings call. The company’s space business unit reported $9.8 billion in net sales for 2018, an increase of two percent over 2017. The unit had an operating profit of $1.06 billion for the year, up eight percent from 2017. Lockheed said the growth in sales was primarily due to strategic and missile defense programs, which increased revenue by $225 million. Additional work on the Orion crewed spacecraft program for NASA resulted in an additional $65 million in net sales. However, revenue from commercial satellite programs dropped by $70 million and government satellite programs declined by $25 million in 2018, both due to lower volume, the company explained. The increase in operating profit came from commercial satellites, which saw a $40 million increase over 2017 because of what the company described as “a lower amount of charges recorded for performance matters on certain programs” that it did not identify. Profit from government satellite programs grew by $30 million because of higher risk retirements for government satellite services. The company’s space unit includes equity earnings from its stake in ULA, a 50-50 joint venture with Boeing. In 2018, Lockheed said overall equity earnings for its space division, which it said were primarily from ULA, were $210 million, $5 million more than 2017. However, an anticipated decline in ULA earnings in 2019 will hurt the space unit’s bottom line. While the company expects operating profits for its other three units — aeronautics, missiles and fire control, and rotary and mission systems — to be flat or grow in 2019, the company projects the operating profit for space to drop to $935–965 million. In the previous quarterly earnings call in October, Bruce Tanner, Lockheed Martin’s chief financial officer, warned those earnings could be down as much as $150 million in 2019 compared to 2018. Tanner said then that both the number of launches and the mix of vehicles contributed to that decline. In the latest earnings call, Tanner said the decline would not be as large as previously projected, estimating it to be closer $100 million. 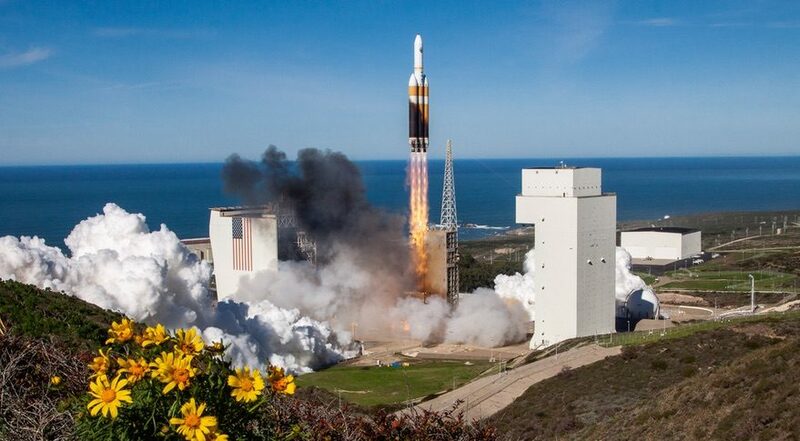 Part of the change has to do with improved performance at ULA, he said, but a bigger factor was a delay of a Delta 4 Heavy launch from late 2018 to earlier this month, shifting the profit realized from it to 2019. The five-week partial government shutdown that ended late Jan. 25 had little effect on the company’s finances, Hewson said in the call. The shutdown did not include the Department of Defense, which previously received a full-year funding bill, but did close agencies like NASA. The shutdown “did not have a significant impact on this year’s anticipated financial metrics, as the vast majority of our business is currently funded through the DOD’s FY19 appropriations bill,” she said.